A Wine Club is known as a “Wine of the Month” Club. Basically, it is a membership or subscription where members receive a shipment of wine, once a month or specific intervals. Typically, wine clubs are “Two Bottles of Wine per Month”, and you can pre-pay (if it’s a gift), or pay each month as you go. 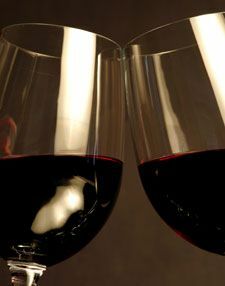 You can also find great wine clubs that deliver "One Bottle of Wine per Month", or "Three Bottles of Wine per Month". And if you like to buy wine in bulk, you can buy an entire case of wine per delivery (a case is 12 bottles). Normally, each wine shipment would be delivered every month. However, you can choose how frequent the deliveries occur if you want to space them out! Want to be specific? You can simply pre-pay for a set number of deliveries. This makes a great gift! Or, you can simply "pay as you go", and keep your membership live until you cancel. You can also choose a larger quantity wine club. So, instead of receiving 2 bottles per shipment, you can choose an entire case of wine (12 bottles). These are called “Case Clubs”, and typically are delivered once every quarter (every 3 months). Buying Wine via a Wine Club is great for wine lovers -- they make great gifts for business or personal needs! The Wine Clubs Directory Lists all the Wine Clubs Available so you know your choices!